Jordan Reyne is the host of The People’s Assembly Against Austerity podcast. 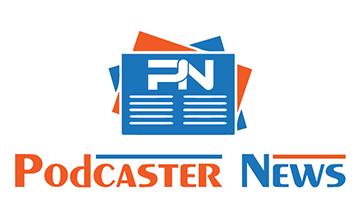 It is a political newscast that focuses on austerity measures in the United Kingdom and Europe. Jordan Reyne is also an amazing musician and you may have heard some of her music on various music-themed podcasts. 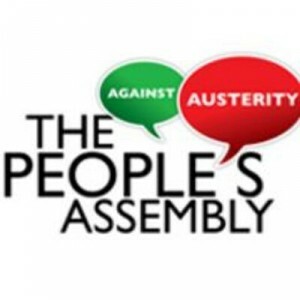 I started podcasting with the project I am doing now – the People’s Assembly Against Austerity podcast – so I am really still quite new to it. That said, I am lucky enough to have a background in production and experience in features writing (Sound on Sound, Kitmonsters and a few others). It’s by no means the same as actually running a whole podcast, but it meant I have had the advantage of a less steep learning curve. Having to learn all of the skills that podcasting entails at once would have been hellish: writing, presenting, interviewing, audio production and editing, promo etc. The other piece of luck is that I have friends who produce some great podcasts too, so I had been exposed to the tricks of the trade and involved in how it is done as well. The learning curve is probably terrifying if you are fresh to it on all fronts, but luckily I didnt have to go through all of that at once! I’m very passionate about politics – particularly about tackling the injustices and threats to people who are already disadvantaged. I have always kept those themes within my music projects, but lyrics are so very nebulous sometimes and whoever said you can still change the world with a song clearly didn’t live under the kind of global capitalism we have today. My deep disapointment in the music industry eventually led me to look for something where ideas and meaning were still valued. I wanted to fight injustice in a more direct way so started looking for political work that fit my own beliefs. I came across the People’s Assembly Against Austerity during an anti racism protest. I started there as a coder, but came up with the idea of the podcast shortly after I started. They are a really great group and very open to ideas so we had a brainstorm about how it should go, what it should include and we went forward with it. I have to say it’s a new passion for me as well: doing something directly informative, helpful and that covers some of the news that mainstream media shy away from. I’m very behind what they do, so working on this project with them is very fulfilling indeed. What is the People’s Assembly Podcast about? It’s basically a newscast, but focused on themes surrounding the austerity measures in the UK and Europe. Austerity, in dictionary terms, means a state of increased frugality. It is basically a word used by governments to make cuts in areas like health, welfare and education sound more palatable. Under the umbrella of “austerity” our government is doing the usual things that have already debilitated other countries in the EU: privatisation of health, welfare, infrastructure and education, and cuts that effect primarily those who are already financially very badly off. Many laws surrounding cuts and privatisation get pushed through with little media coverage for fear that people will object – because they WOULD object if they knew what the implications were. Similarly, agreements that allegedly relate to other sectors only, but actually directly effect citizens are shuffled through mostly under the radar. TTIP is a good example. If it goes through, our national health system faces irreversible privatisation, and workers face a world without a minimum wage or the ability to bargain over work conditions. Then there are laws like the gagging law, the anti lobbying law, and the pay to protest law that produce a code of silence ensuring we won’t be ABLE to effectively object to future proposals by government. Our podcast focuses on these things and interviews those who are directly involved or expert in the field. 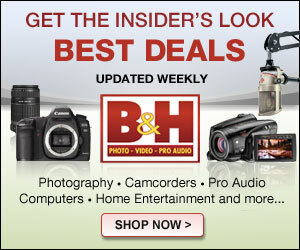 As someone so new to podcasting, I doubt I have the experience to give good advice in that area specifically. What I do think is helpful to keep in mind with anything where women have to venture into a territory that is either traditionally male, or male dominated: gender is a social contruct. It is learned and then performed. The performance of gender in accordance with what people expect makes your life easier, yes, because people see a confirmation of what they already think. That doesn’t stop gender constructs (and performances) from being essentailly utterly arbitrary and damaging. Saying “women are not as good at ‘thing x’ as men” is exactly akin to saying “people from a particular culture are not as good as people from western culture are at ‘thing x'”. Anyone with any brains recognises the latter as racism, but somehow they don’t yet always get that the former is sexism. They are simply people parroting what society has foreced on them as “fact” since they were born. Ignore them. There are a lot of well meaning older men in podcasting, and they have had those ideas pushed on them for even longer. They are most often really caring and helpful actually, but can still come out with casual sexisms that make you feel small or excluded. Pull them up on it, if you can. I always do, but I know it is sometimes hard to, especially when that person is also trying to be helpful. Even if you are new to something and don’t yet feel expert enough to argue though, remember that the assumption that you wont get to be as good cos of your gender is also sexism. Just point out politely that that is what it is. Some forms of sexism are just borne of ignorance rather than malice. The ones that are malice driven – just walk away and have nothing to do with them. They aren’t worth knowing.